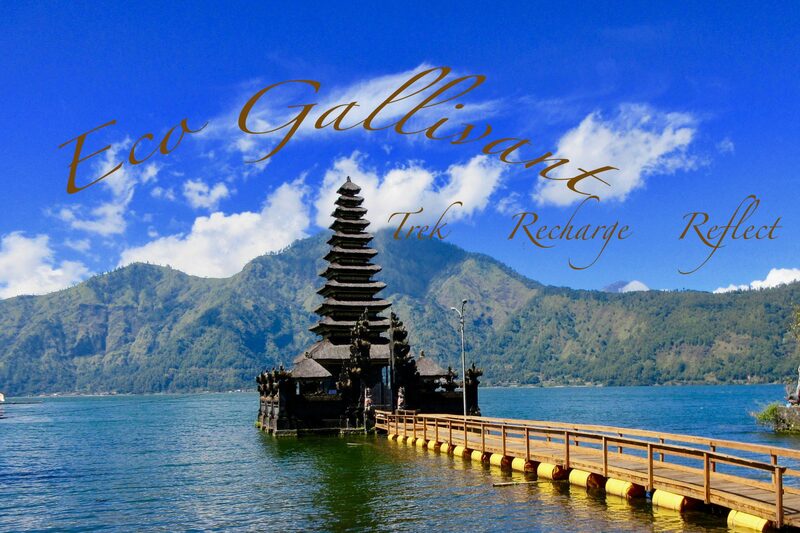 Eco Gallivant is counting the days (73 from today) until we arrive in Bali for our June trek. In the meantime, spring break is winding down. Kathleen has been boating and snorkeling on the west coast of Florida, checking out the manatees, and Kerry has just a few days in Bali before heading back to Wisconsin. Temperature drop!! It is 88° F right now in Desa Les at Sea Communities, on the north coast of Bali. And the water temperature is 86° F. Perfect for diving and swimming and snorkeling, which Kerry has been happily indulging in. Reef restoration continues, and the coral is looking gorgeous. There are plenty of fish as well. Bali Spirit Festival took place this past weekend, so EG was there helping out with sales for the salt farmers cooperative from Les. The sea salt is organic, and tastes incredible. No whiteners, no iodine, no chemical taste. It is soft and has a slight sweetness to it. A little sprinkle on caramel gelato….. oh my. EG will be bringing a kilo home for the table! There is a wedding on Wednesday. Look for photographs to be posted later in the week! The nephew of our host, Made Srestri, is getting married. Many weeks of planning for the food and ceremony has taken place. EG can’t wait! As usual, the food here at Sea Communities is wonderful. Breakfast this morning was sticky rice balls with shaved fresh coconut and “bali” sugar. Lunch was tofu in a peanut sauce and lovely, thin and delicate, fish cakes. First course was a noodle soup with vegetables that had just a little bit of heat. Delightful. Made Sresti and Made Artika run a five star establishment! EG will be going to the market in the morning to help choose the fresh vegetables, fish, and chicken for tomorrow’s meals. There is still time to sign up for the June trek: we will take reservations through April 30th. Reserve your space now!